GREAT HOSTS..........GREAT GROUP AT HIREPOOL - LOVING IT! So today finds me sitting in the Auckland airport after a cancelled flight last night due to leaking fuel on the engine. Lots of unhappy people including me but i guess better to find out now than halfway across the pacific ocean! :) I know the Auckland Airport like the back of my hand now! 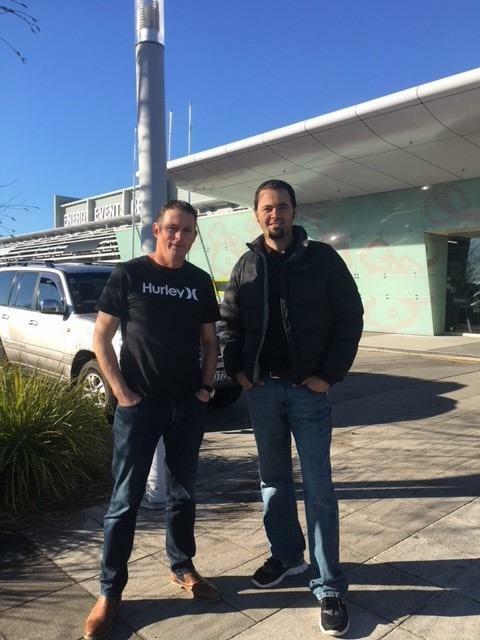 This past week I’ve spent with Phil Tindle, CEO of HIANZ, preparing for and attending their annual Conference in Rotorua, equivalent of The Rental Show in the states. 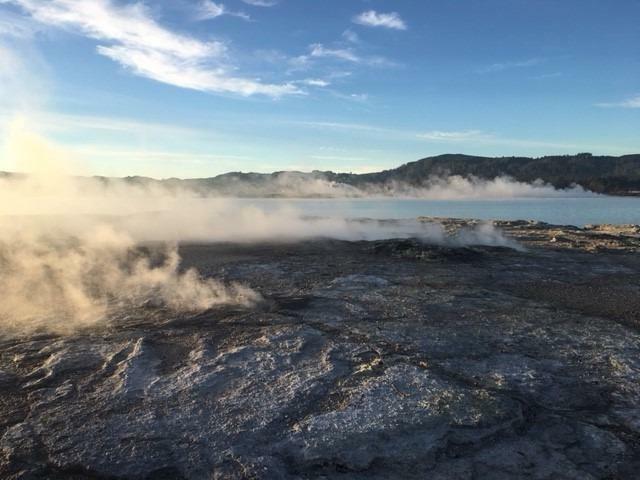 Rotorua is a vacation destination in New Zealand, best known for its Geothermals and Maori culture. To best describe it, it is a town built in Yellowstone National Park. It smells like sulfur and their are hot mud pools and geysers. There is steam coming out of the ground around town and I would often see it coming out of the drains along the road. Monday we prepped the Events Center Arena for the conference. Myself, Scott (events coordinator), Tim (HIANZ President and independant rental store owner), Phil, and Phil’s daughter Katie worked on hanging up signs, prepping the floor for vendors and delegates, stuffing satchels to be given out along with registration and general administrative tasks that come along with running a show like this. We prepped for a record attendance of 350, beating the previous year’s number of 270. Monday evening Tim and I went to Tamaki Maori Village, a native cultural experience with a traditional dinner. 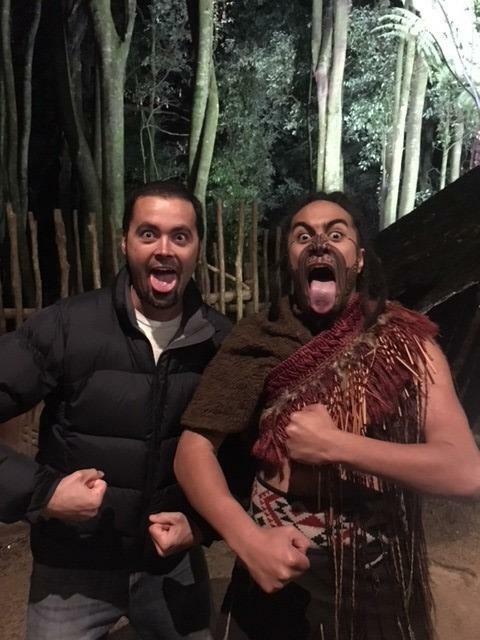 All the guys in our group made fools of ourselves trying to learn the Haka and I participated in a Maori game, all of which were designed to strengthen and teach battle skills. Tuesday, was vendor setup day and registration. Phil and Scott were ever so busy. I helped with registration and vendors as they moved in and set up their equipment and displays. It was a bit of a challenge moving into the arena as it was a sprung hardwood floor for basketball. We had to use sheets of plywood to move equipment in and out. 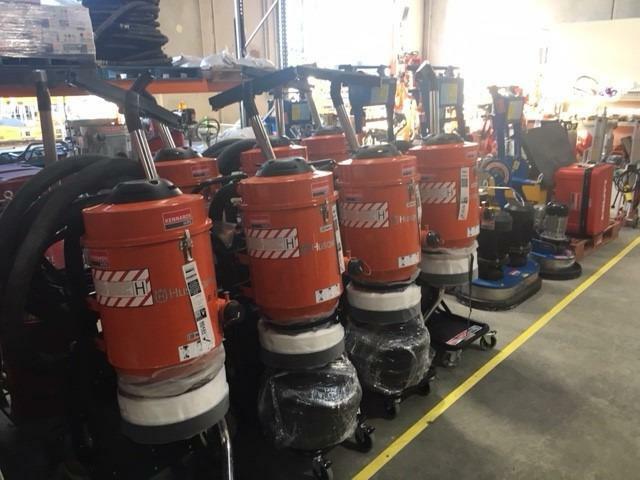 We could not use pallet jacks, and we had to be very careful with the carpet squares over the hardwood because they would move around if equipment turned on them. In the evening i walked around town grabbed a few souvenirs and called it a day. Wednesday was the beginning of the Conference. Since New Zealand is a small country with about 4.5 million people everyone in the industry knows each other and this event was much more of a social event than a buying show. It was a good chance for hire companies and vendors to connect and learn at the many sessions they ran throughout the conference. We started the day with Gilbert Enoka of the All Blacks Rugby team who talked about working together as teams and how the All Blacks are able to be a dominant team year after year. Realizing that a large portion of being the best is all in the mind, the All Blacks work with a leading psychiatrist to develop the mental strength of the team. Here are a few of the lessons from this session. The Set Triangle: Mindset, Skill Set, Structure Set. All the “sets” influence each other; for example if mindset is an issue for a player, the underlying issue may be the structure set. What structure does that player need to have in place to create a good mindset. Everyone needs three bones; Wish Bone, Back Bone, Funny Bone… and don’t grow a wishbone where your backbone should be! The best thinking in the face of adversity is not positive thinking or negative thinking, it's clear thinking. Gilbert gave the example of a time the All Blacks were in a bad situation and needed to score. Instead of getting in a huddle and just pumping each other up with positive thinking or bemoaning the fact that they were in a tough spot with negative thinking, the team captain chose clear thinking. He quickly called a clear and concise play that everyone on the team understood. Gilbert played the clip of that play which the All Blacks performed an almost magical play, taking the ball down the field for a score. You don't need to be your best all the time, just when your best is needed. Takes the pressure and resulting burnout out of the equation. Determine where you are at and where you want to be. Let the gap between the two make you uncomfortable and be your motivation. If there is no gap or a small one, change where you want to be to create a gap. They had short “tech streams” from everything from insurance to dust control. Phil, Robert from Hirepool and myself spoke about the Association and the Global Exchange program. 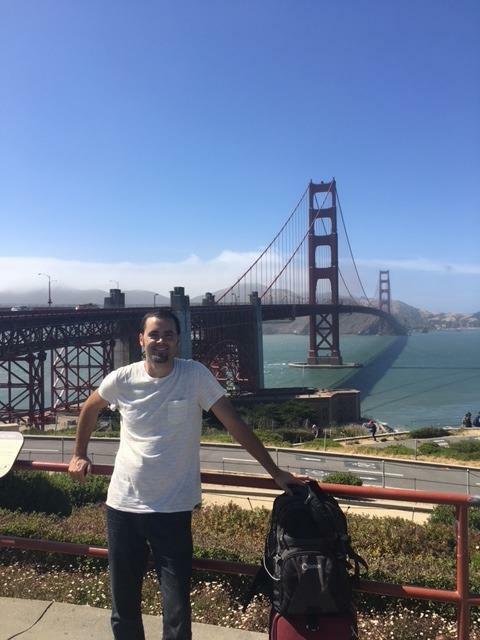 I gave a brief overview of how I entered the “Hire” industry, info on Gap Power, and how I became involved in the Global Exchange program. Thursday was the last day of the Conference highlighted by Sir Graham Henry, Coach of the All Blacks, a legend in these parts. For these Kiwi’s it would be the equivalent of a keynote by Bill Belichick. He talked a lot about different players and the inner workings of the team. Since I don’t know Rugby well and certainly not any of the players, it was a bit difficult to follow. In addition to vendors and mini seminars, they provided coffee and tea throughout the day in addition to a lunch each day of the conference. Phil and I spoke a bit more about careers in hire. After the show, I headed out to pick up my suit for the evening Gala and awards dinner. 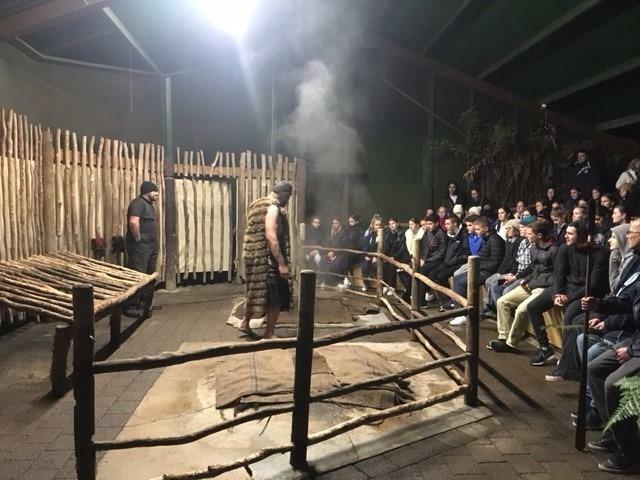 After the traditional Maori welcome the evening began with musical entertainment and a dinner of steak and chicken. A Hirepool branch won an award for their 24/7 branch in Auckland that I had visited in week one. Tim, the current president, was inducted as a lifetime member into HIANZ much to his surprise, just as the organizers were hoping for! The evening finished with desert, more music, and dancing (nope, not me!). After boarding the plane we had to exit the plane again due to “technical issues”... something about fuel leaking in an engine. Guess its good they figured it out here and not over the Pacific! :) Air New Zealand put us up in a hotel for the night and our flight left at 1:30pm the next day, Saturday. I spent two days with Greg and Heather. Greg is the Continental Events Manager for Hirepool so on Thursday we spent the morning at the Events branch seeing how they run an events business. Greg showed me around the two large warehouses at Rangiora, just outside of Christchurch. Nikki ran the warehouse with all of the table ware, chairs, etc… Large dishwashers in assembly line fashion are kept busy during the summer season taking care of the constant flow of dishes and glasses. Odette managed the large warehouse were Marquees and lots of other event gear was stored. We went through the process they go through from receiving the order to creating pick sheets for an event. There is a ton of work that goes into setting up and preparing for events and long hours are worked throughout the event season. The afternoon found me with Chris Hutchinson at the Christchurch Portables branch (Porta Potties). Chris and I walked around the yard and he gave me a the overview of where he has taken the business since he started 3 years ago. We talked about things like the fleet age and appearance, from streamlining the truck emptying process to experimenting with additives to keep pump equipment from failing. Chris has elevated that game of hiring a fairly mundane item. We took a look at some new technology to more effectively track where the toilets are located. I also briefly spent time with Deb, accountant in the events side, going over the different reporting and dashboards that Hirepool uses for managers, head management and CEO. They track projected revenues very carefully to effectively manage cash flow. Greg and I ended the day at a retail outlet store for the Events business. With a small warehouse tacked on the back, this location services events right in town without customers having to travel to the larger location outside of town. While i was there, a local bar owner came in for wine glasses to supplement his stock for a large event he was hosting at his bar. Johns Road branch, primarily a Heavy Branch with some General Hire hosted me for the morning. The manager, Glenn, was busy in the office as today was the last day of the fiscal year. I spent time with Joe, Nikki, and Dianna at the sales counter helping customers. Joe was also working on cleaning up open contracts and finishing out billing for end of year. Joe and I returned an excavator using fleetlogic. There was a crack in the window so we pulled up photos in fleetlogic and could see that the crack had not been there previously. I chatted with two OTS drivers on their break and they showed me their dispatch system. They are just beginning to use an E log system although it is not a government requirement yet. They receive delivery instructions on their tablet and use google maps if they don’t know where their destination is. OTS is the contracted delivery provider for Hirepool. Iain, manager of SSW (South Support Workshop) shouted me lunch and we chatted about family, countries and equipment hire. Iain manages this workshop where any equipment over a certain threshold are sent to repair. He manages a team at this location in addition to two other workshops in his region. His dashboard shows him count of open work orders, days equipment is waiting to be serviced, etc… They have an area where small equipment is serviced, an area where an electrician services electrical machines small and large, a paint prep area, and a paint shop. Saturday was a day off and we began with breakfast at Strange Bandit with Antony, Rhiannon, and Greg. I thought I liked strong coffee until I came here. They would give me hot water to add to my shots of coffee, poor American! Sunday my flight for Rotorua left at 10:30. I met up with Phil Tindle, CEO of HIANZ and after some prep for the trade show, we headed for the Luge, a downhill cart racing track. It wasn’t until the third time down that I got a good cart and could stay ahead of Phil! Tuesday evening finds me at the end of two days in the Southern island with the guys and girls of Hirepool. I’m staying with Antony and Rhiannon Smit in Christchurch. 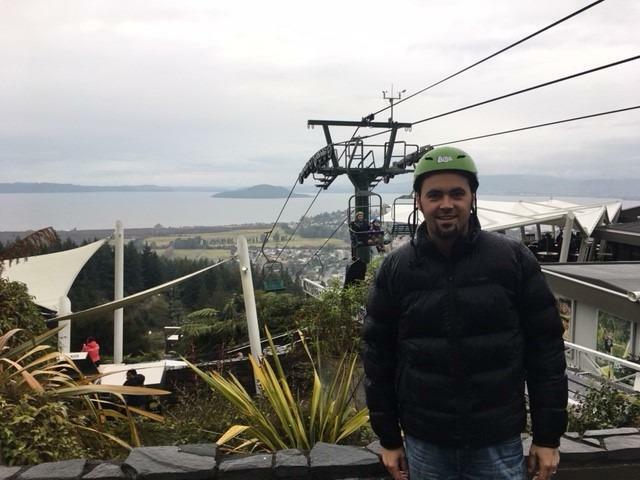 Antony is the Southern Region Manager based in the Christchurch area. An interesting dynamic to the Southern Island market is the earthquakes of 2010/2011 (https://www.britannica.com/event/Christchurch-earthquakes-of-2010-2011). Antony described the feeling that his vehicle would roll over when the 2nd and most destructive quake hit in February 2011. Approximately 200 people were killed and rebuilding is still only beginning in some areas of the city today. 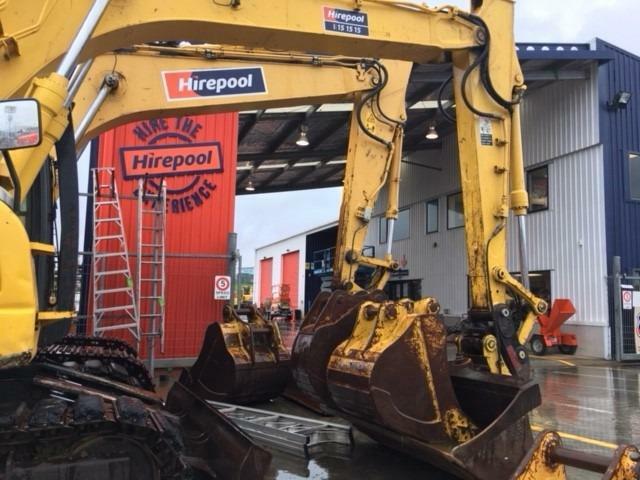 Hirepool’s equipment mix and business has been largely dictated by the rebuild process. Monday I spent time at the Riccarton and John’s Road Branches. The day began with a sales team meeting at 8am. 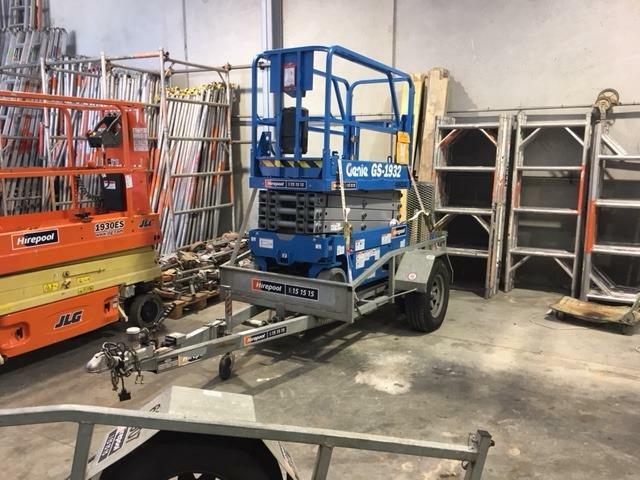 Riccarton is a General Hire branch only recently having their Lift and Access equipment moved to the Moorhouse branch. 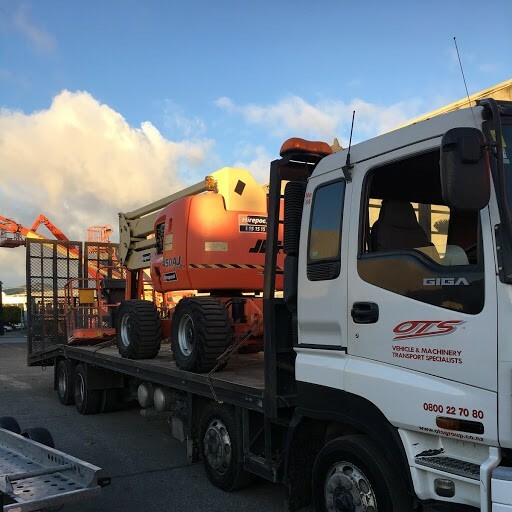 I got see how service techs worked through the general hire services with gear up to towable lifts, 1.5T diggers on trailers, and 19’ scissors on trailers. Tuesday saw me spending time with Jimmy, Trent, Sach, Greg, Steve and the crew at Moorhouse, a General Hire and Lift/Access Location. 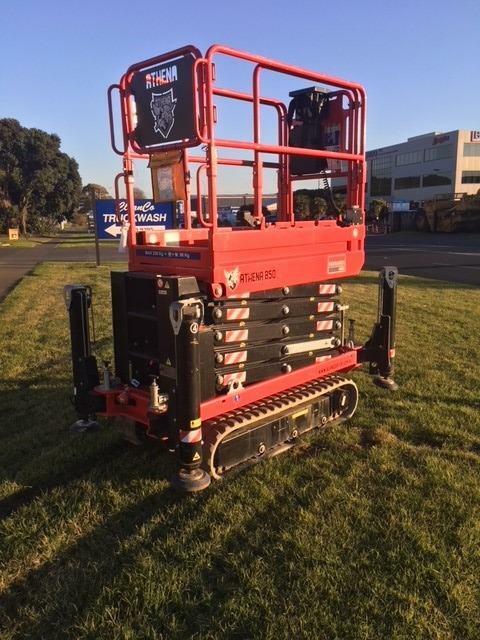 We serviced some Hilti gear and finished out the day servicing a towable lift. Lift inspection is fairly rigid here. 6 Month Certifications are required by law on each AWP and a 3 month Electrical Cert and Routine Inspections are also required. 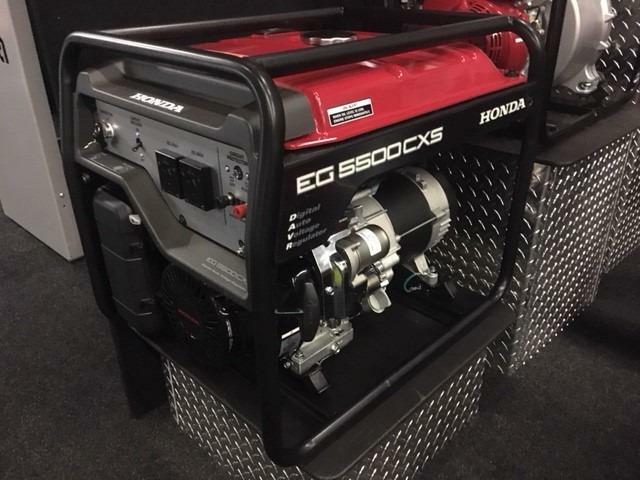 A 3 month EC is required on every cord (by law) whether on a tool or an extension cord and each is tagged with an inspection label with a unique number for that inspection that is kept on record. Full AWP rebuilds are required by law every 10 years which recertifies for another 5 years. We spent some time at the Moorhouse branch talking about the differences in equipment. One of biggest difference in the size of trucks (Uts) and trailers in the States vs. NZ. Hopefully i could give them some thoughts about how to do things more efficiently in their business as well! It took me a bit to figure out that if someone had to get something out of their boot, they were referring to the trunk of a vehicle. :) Z is said “zed” (i.e. “from A to Zed”). Hailing now from Whangerie (in the native Maori language WH is “F”) which is the northernmost branches in the north Island for Hirepool. We are staying in a hotel with a few other Hirepool sales guys for Thursday and Friday night as its a good two hour drive from where i’m staying. I spent time with Koby and Simon in the branch, Dave who is the Manager of the two Whangerie branches, and Pete and Steve, both mechanics. These branches are probably the most similar to Gap Power in that they are away from the city a bit more, closer to farms and rural areas and because of their distance tend not to transfer equipment around between other branches as much. A large amount of business in this area is at the oil refinery. They are just wrapping up “Shutdown 2018” during which Hirepool had a few containers and a staffed office on site. Most of the time we spent there with Corina and Zach (on site staff) was trying to figure out where all the gear was as they prepared to remove the containers from the site. 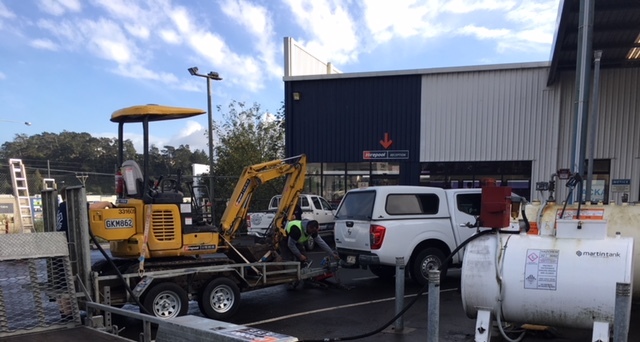 OTS was also there daily picking up large generators and compressors. 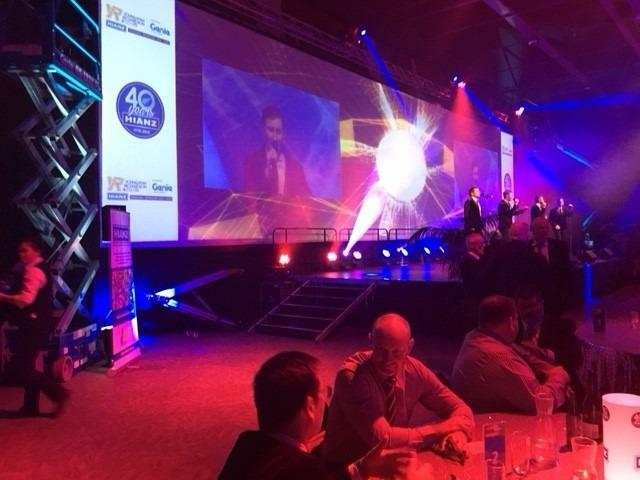 Friday night we were at the North CCNZ awards banquet for which Hirepool is a principal sponsor. Various civil projects were given awards by a panel of judges and Hirepool sponsored the “over $1 million projects” award. Saturday night we are heading out to a local pub to watch a France vs. NZ All Blacks game on the big screen. Sunday at 2pm I board a plane for the South Island to experience the cold south and Hirepool in action with Portables, Events and some General Hire. Wednesday we stopped at the North Shore branch with Andrew, the manager; Erica, working at the rental counter; and the sales rep for the area, Miles, who i traveled with most of the day. Erica gave me a “tiki tour” of the branch and we talked a bit about what we did the same and differently in our two countries. 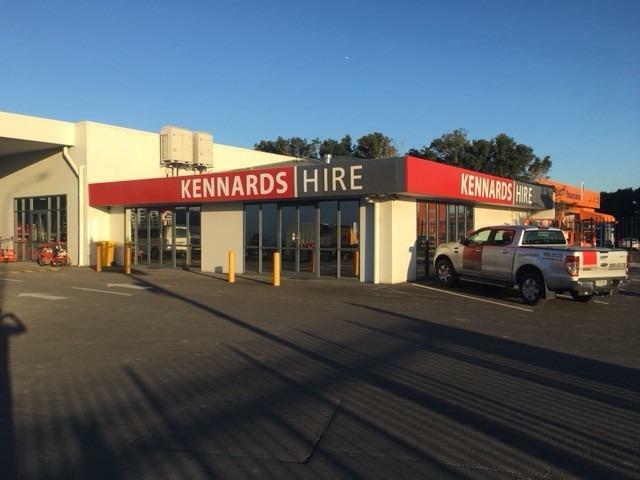 This branch is by far the busiest branch in the region, especially on weekends with the DIY crowd. 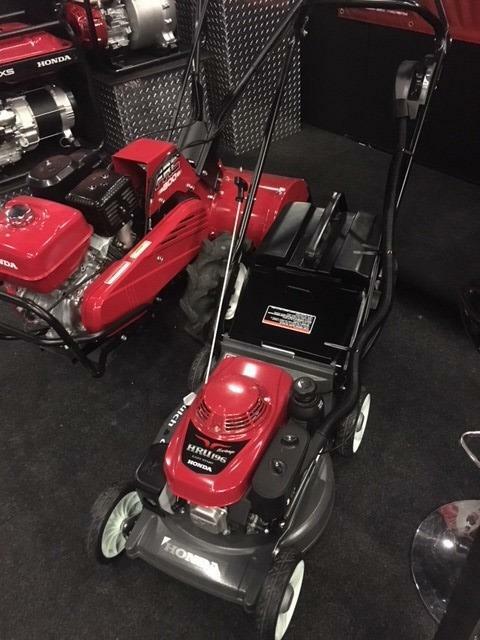 Interestingly enough, they run large amounts of 36V Stihl equipment as part of their “green and sustainability initiatives”. Jackhammers, plate tampers, and cut off saws continue to be the top performing products at each branch. 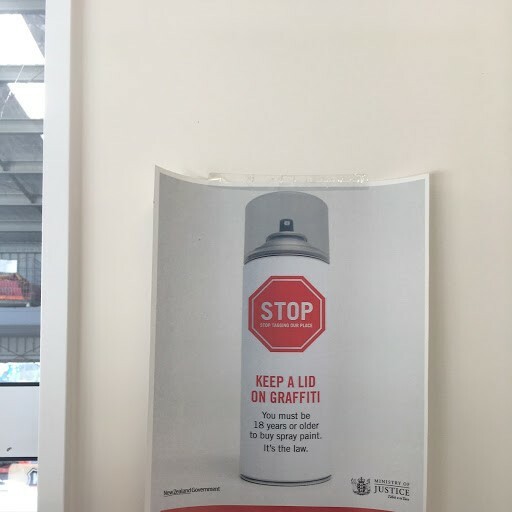 I traveled extensively with Miles today and observed a lot about what the function of an on the road sales guy looks like in this part of New Zealand. 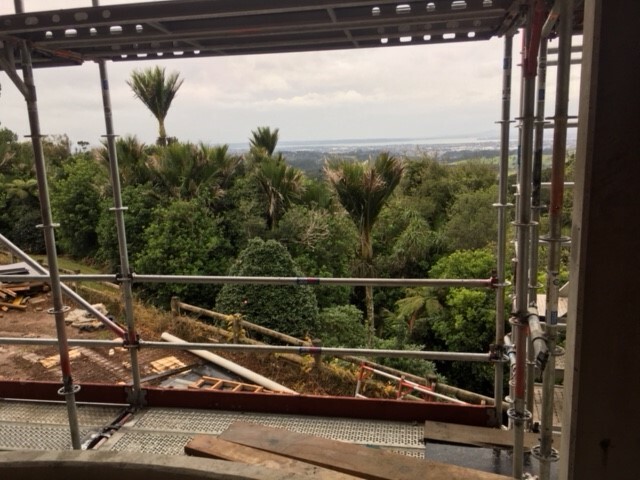 We traveled into the mountains near Auckland and visited a hotel project in the mountains overlooking the city of Auckland, harbor, and surrounding areas. It's almost a rainforest feel in the mountains with its own climate. If i shout you lunch it means I’m paying for your lunch. Its Tuesday evening and I've had an eventful past two days being introduced and spending time with HirePool. 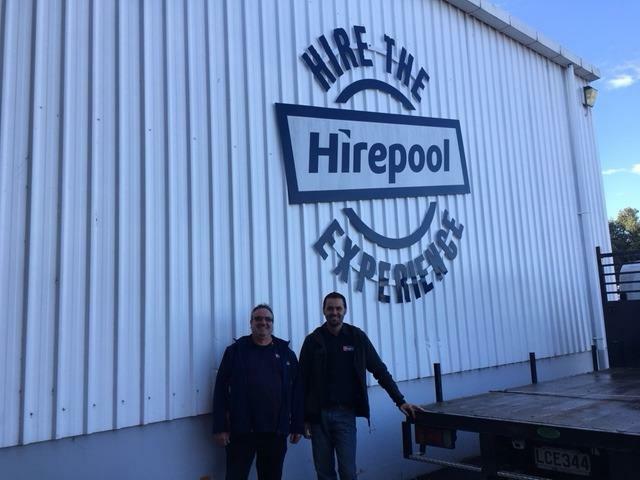 I began Monday with Robert, the safety director for HirePool and he gave me the initial introductions to the management team at the PenRose branch, headquarters of Hirepool and a short tour of the General Hire, Power and Light, and the Vehicle Hire divisions all in same compound. 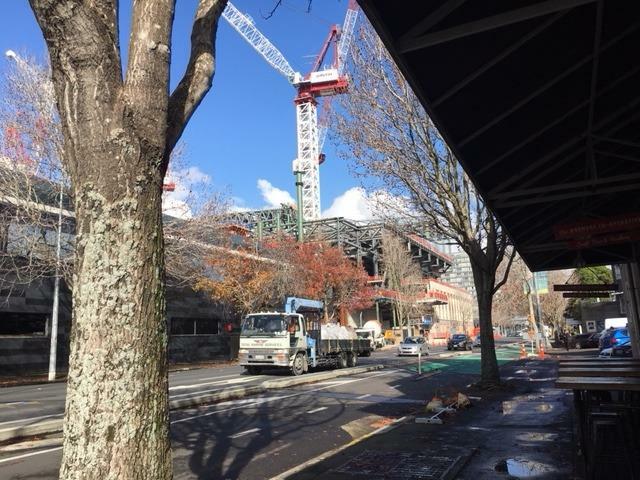 I spent the rest of Monday and Tuesday with Peter Millar (Regional manager and my host) and Brent “Riggsy, Regional Sales manager visiting different branches and some large high rise projects in the city of Auckland. A noticeable difference between the US and that of Hirepool and New Zealand is the size of trucks. A Ford Ranger size truck is the normal construction pickup truck or “Ute” as they call it (short for utility vehicle). On a side note, New Zealanders abbreviate or shorten a lot of words and phrases (Do you want a cuppa? or That’s as crazy as…). 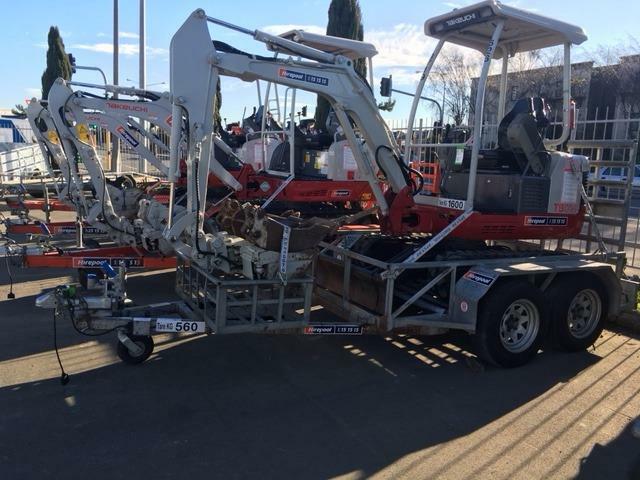 A lot of Diggers (commonly a 1.5 ton mini excavator - i.e. 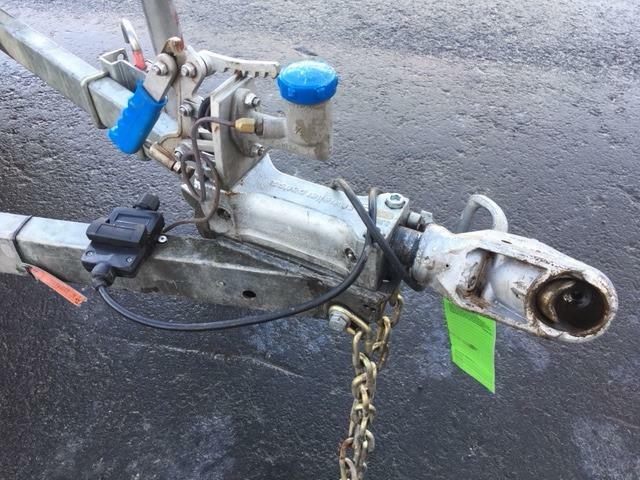 TB216) go out on small dual axle trailers with surge brakes towed behind these small trucks. 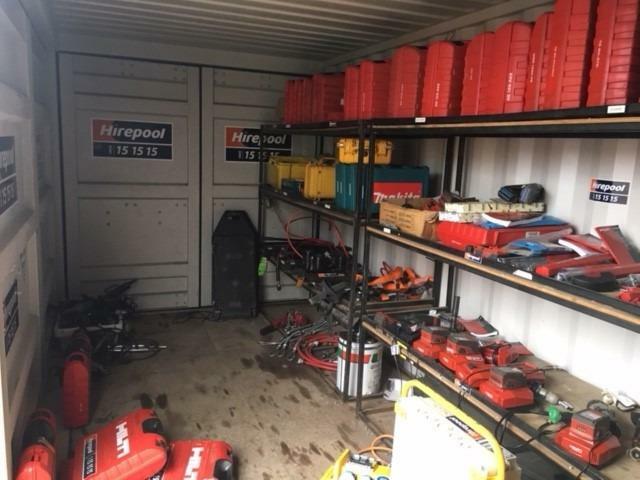 Hirepool (and i’m told other companies as well) do not use loading docks, everything is drive through and equipment is loaded by hand, overhead chain hoist, or by battery powered lifts. Some of this stems from the large amount of shipping containers used in the country. They are delivered on trucks that set the container on the ground for loading/unloading so docks are not needed. All the Hirepool branches use some sort of drive through. There is never any backing up. Interestingly enough, skid loaders are almost non-existent, diggers (mini excavators) are in! HirePool is staying on the cutting edge of customer interaction with a new technology initiative to increase the speed and ease by which they process “gear” (equipment) in and out and quote pricing. I’ve been able to see some of the first implementations of that system as they begin to role it out, impressive! 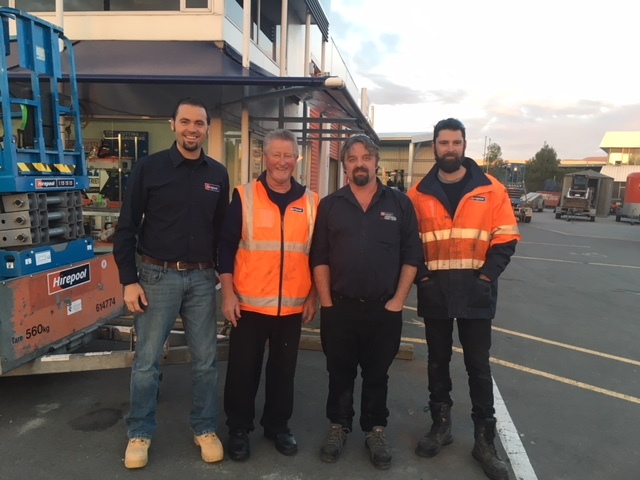 In the trips to and from stores I got to hear from Peter how they are able to run and manage a large multi branch hire company in New Zealand. 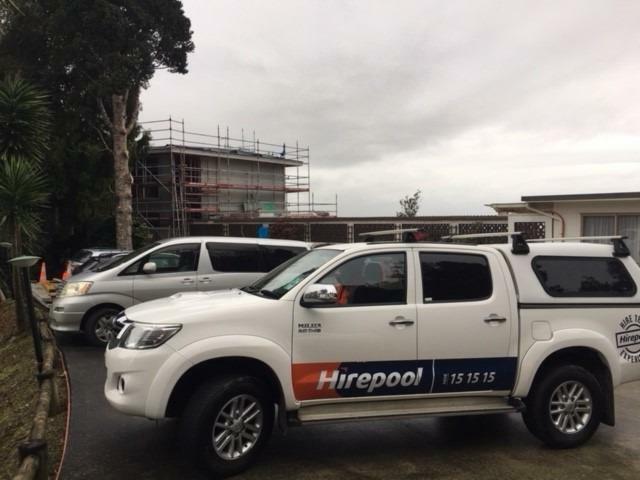 The job market here in New Zealand is very competitive so that presents challenges for every company in New Zealand and I got to hear how HirePool works with that. Peter is a great Regional Manager and cares about the personal development of the people in each branch. Monday night I was the international guest at CCNZ (Civil Contractors of New Zealand). Along with networking and business meeting items, we enjoyed a great dinner and a presentation by the Minister of Transportation and Housing addressing the need for more affordable housing and a roadway infrastructure that is far from meeting the current demand of the city and surrounding areas. It is in desperate need of upgrades and of course this group would be heavily involved in doing that work. Common transport method for scissors lift. Notice very compact trailer. Stay tuned as I spend the next three weeks working in and reporting from New Zealand! Jeremy Weaver.